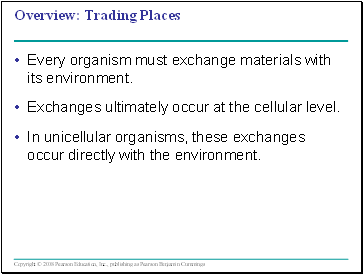 Every organism must exchange materials with its environment. Exchanges ultimately occur at the cellular level. In unicellular organisms, these exchanges occur directly with the environment. 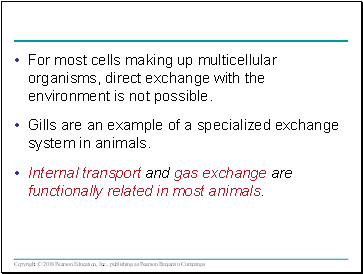 For most cells making up multicellular organisms, direct exchange with the environment is not possible. Gills are an example of a specialized exchange system in animals. Internal transport and gas exchange are functionally related in most animals. 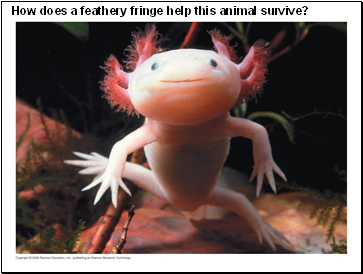 How does a feathery fringe help this animal survive? In small and/or thin animals, cells can exchange materials directly with the surrounding medium. 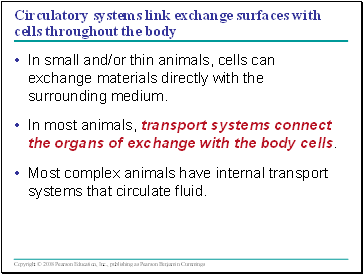 In most animals, transport systems connect the organs of exchange with the body cells. Most complex animals have internal transport systems that circulate fluid. 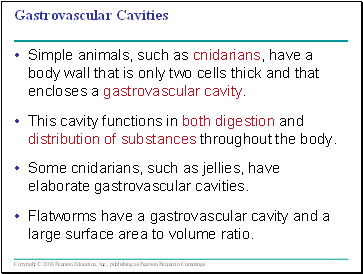 Simple animals, such as cnidarians, have a body wall that is only two cells thick and that encloses a gastrovascular cavity. This cavity functions in both digestion and distribution of substances throughout the body. Some cnidarians, such as jellies, have elaborate gastrovascular cavities. 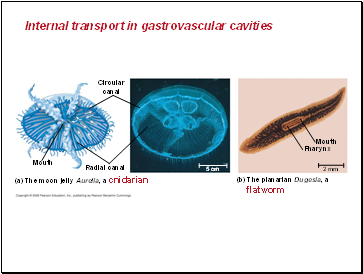 Flatworms have a gastrovascular cavity and a large surface area to volume ratio. 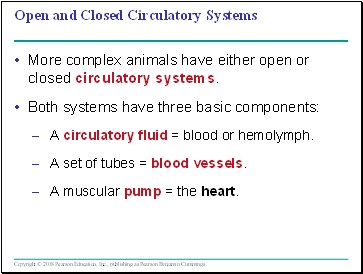 More complex animals have either open or closed circulatory systems. 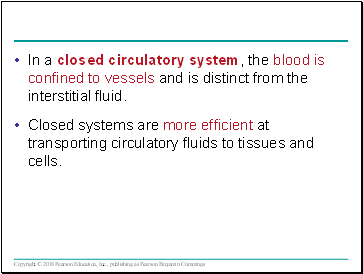 A circulatory fluid = blood or hemolymph. A set of tubes = blood vessels. A muscular pump = the heart. In insects, other arthropods, and most molluscs, blood bathes the organs directly in an open circulatory system. 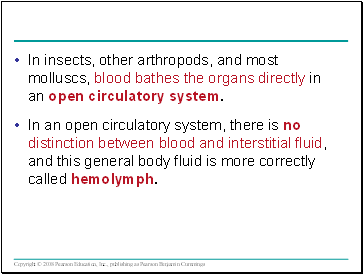 In an open circulatory system, there is no distinction between blood and interstitial fluid, and this general body fluid is more correctly called hemolymph.